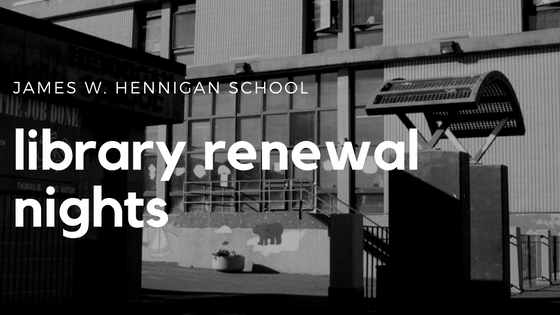 We have been encouraged to see a growing relationship with the James W. Hennigan Elementary School, a local public K-8 school in Jamaica Plain. As a continuation of Citylife’s partnership with the school and follow-up from this past May’s Mercy Week, we have the opportunity to participate in two more library renewal nights this July! Volunteers will be taken through a brief orientation and continue bringing the school library to functioning order through shelving, sorting, and more. We are looking for around 10 volunteers to serve each night! Sign up below for one or both days. More details to follow! Please email Danielle (smith.danielledawn@gmail.com) or David (dpaik27@gmail.com) with any questions.